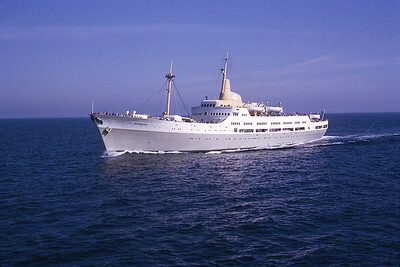 As well as railways I've always been interested in ships. 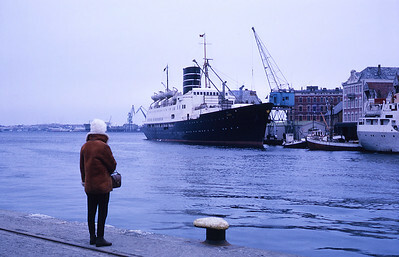 This stems from regular trips to Norway to visit my mother's family in the 1960s and 1970s. In those days flying was only for rich people so sea travel was the norm. 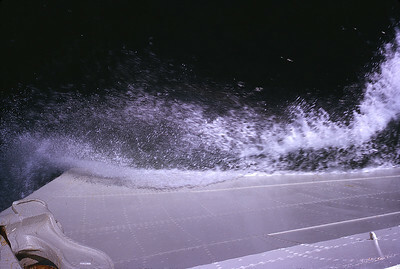 Fortunately my Dad took lots of photos and I have scanned a selection of his 35mm slides. I intend to add more from my own collection when time permits. 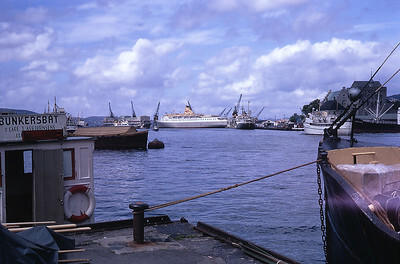 Leda at Stavanger around Christmas 1962. 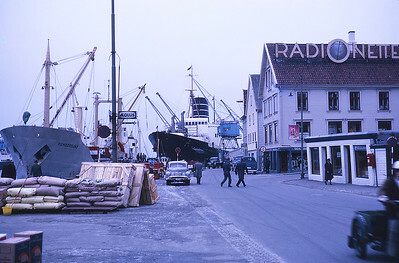 Leda in Haugesund I think in late 1962. 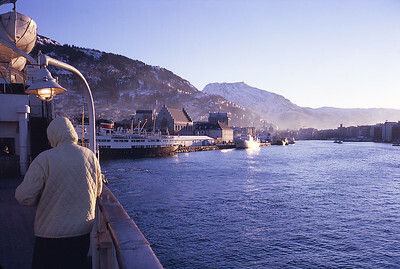 Leda arriving in Bergen around Christmas 1962. 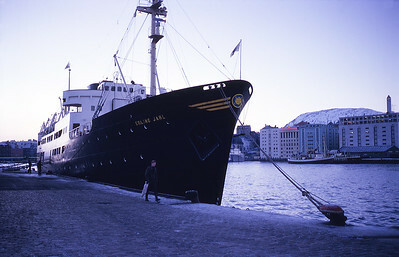 Erling Jarl in Bergen around Christmas 1962. 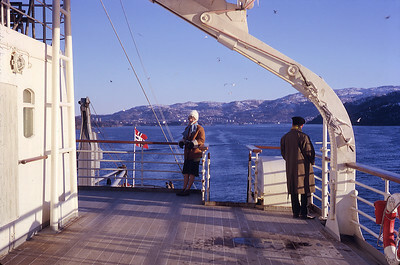 Erling Jarl and Leda in Bergen around Christmas 1962. 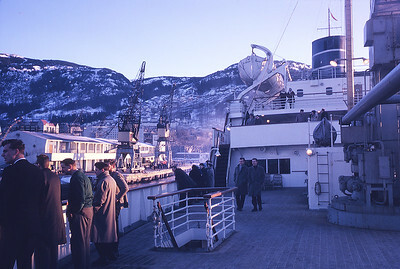 Departing Bergen on Leda around Christmas 1962 with Erling Jarl moored. 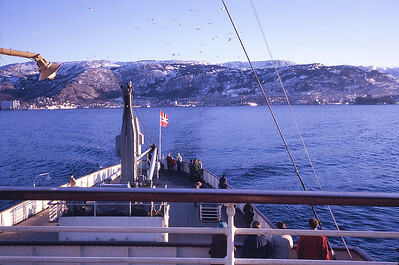 Departing Bergen on Leda around Christmas 1962. 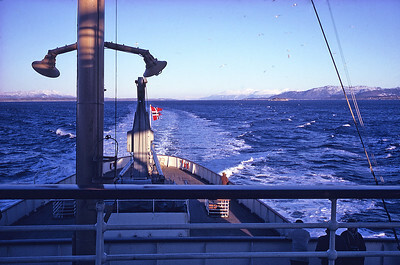 Another shot heading away from Bergen on Leda late 1962. 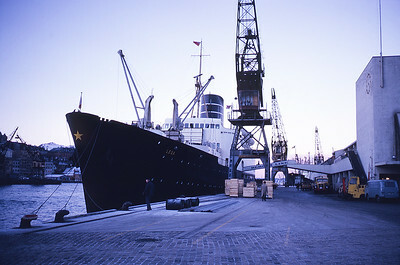 Leda on the Tyne June 1965. 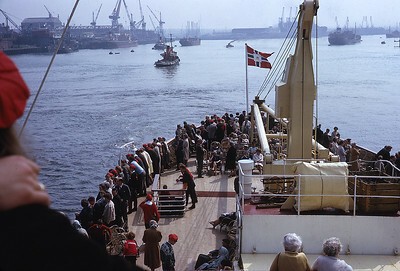 A busy scene on the Tyne in June 1965, seen from the stern of Leda. 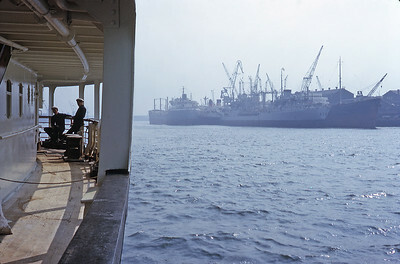 Leaving the Tyne on board Leda in June 1965. 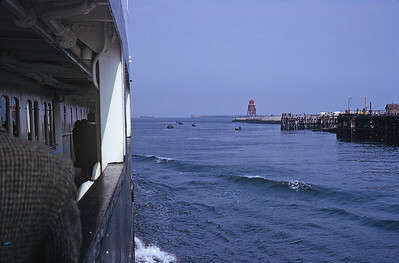 Leaving Tynemouth on Braemar in August 1966. 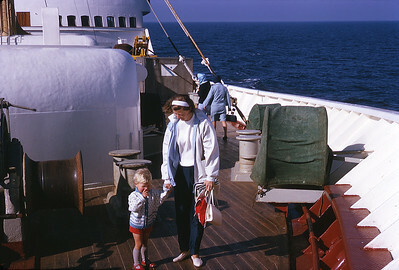 Glorious weather on the north sea; Mother and I are on Braemar's bow in August 1966. 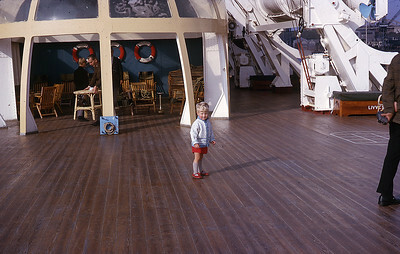 Myself on the sun deck on Braemar August 1966. 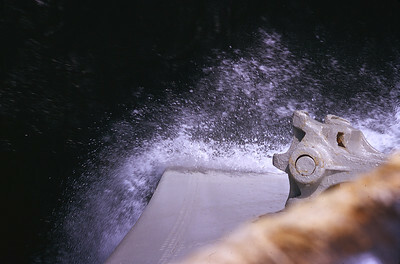 This amazing shot of Braemar's anchor is taken by Dad leaning over the bow whilst the ship is underway! The health and safety police wouldn't allow the public anywhere near nowadays. 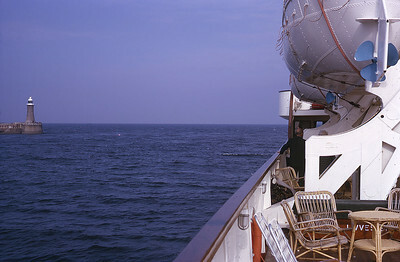 Another shot peering over Braemar's bow, August 1966. 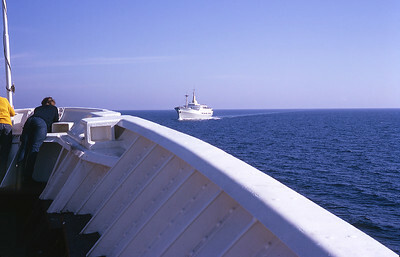 A beautiful shot of Blenheim passing Braemar in fine weather. 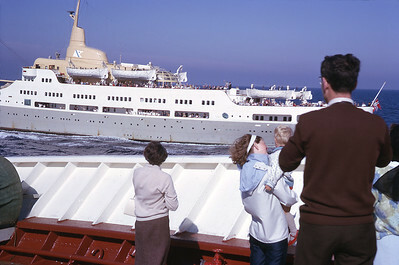 Passengers line her decks including the bow, August 1966. 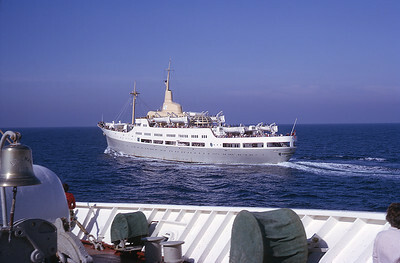 Another shot shot of Blenheim passing Braemar in August 1966. Blenhiem passes our port side. 2 years later she was badly damaged by fire and was converted to a car transporter. 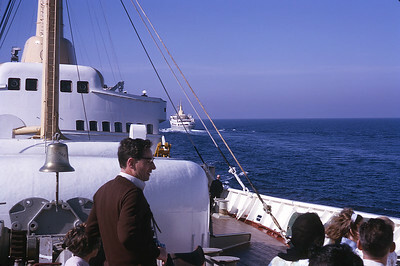 On the bow of Braemar showing the bell and sistership Blenheim passing, August 1966. 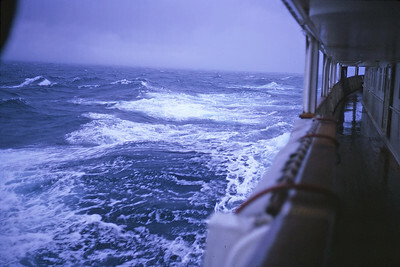 Typical North Sea conditions on our return crossing on Braemar in September 1966. 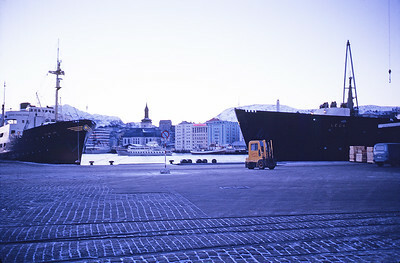 Bergen harbour in June 1968 with Jupiter and Erling Jarl in the centre. 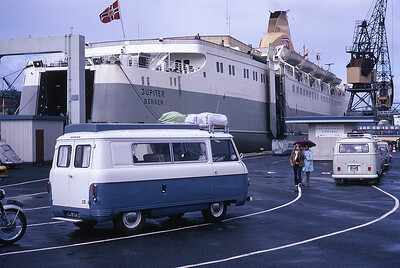 Waiting to take our camper van onto Jupiter in 1968. 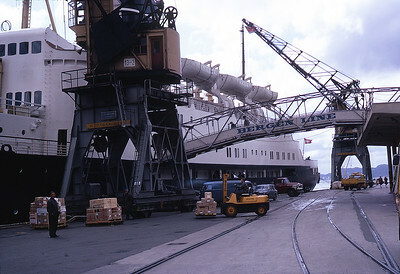 Leda takes on passengers and cargo in Bergen in June 1968. 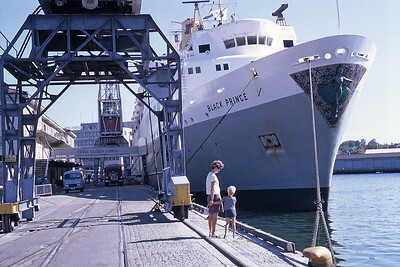 Black Prince at the quayside in Kristiansand in August 1969.